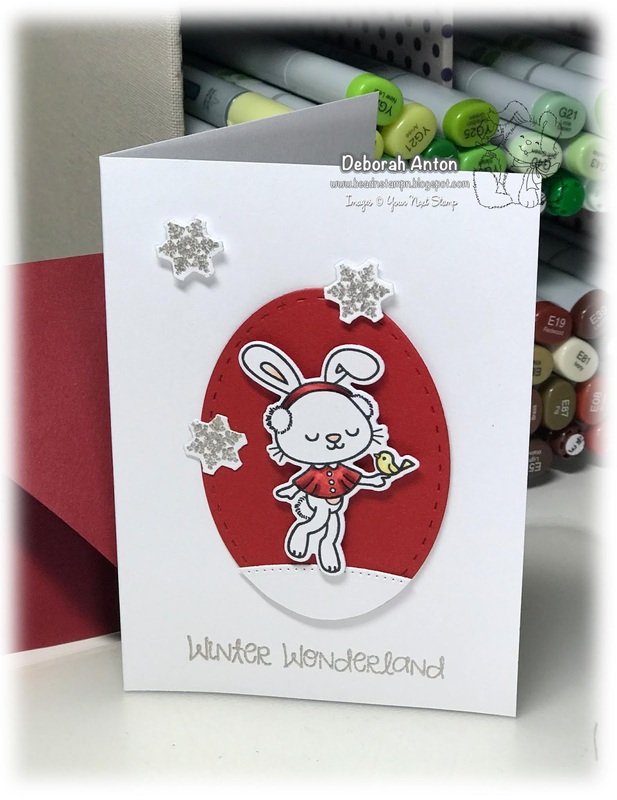 Are you looking for a fun challenge to help jumpstart some holiday card making? Today, the YNS DT have created some awesome projects to complement the theme of "A-Caroling we will go." This challenge is about creating a project that coordinates to your favorite holiday song. 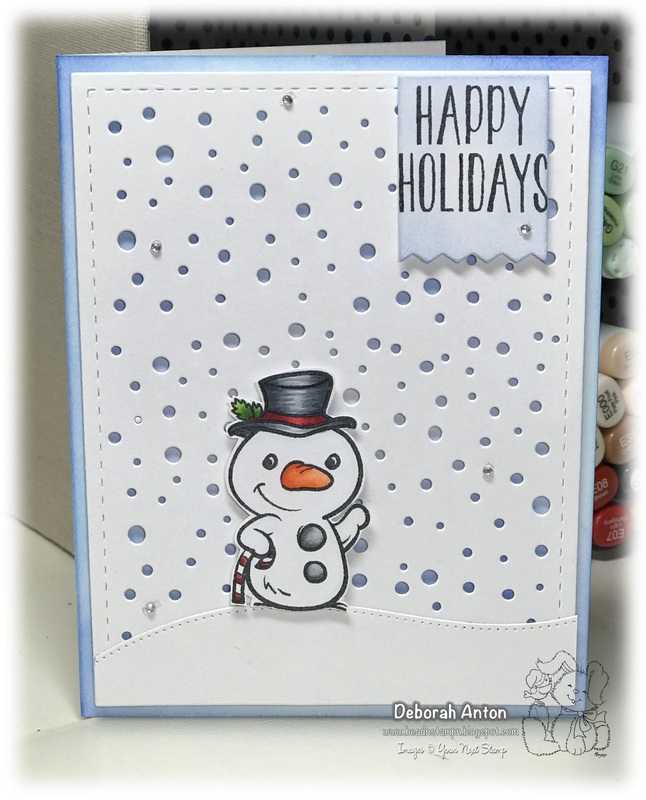 For my card, I created one that represents "Frosty the Snowman." Always a classic and one image you are sure to find your collection. I am using the set of Holiday Buddies for the main image and paired it with the Snowfall Panel die and the Double Pierced Hill die. The image was colored in with Copics and cut out and set aside. I then sponged the base of the card with some distress inks for the blue coloring and popped up the snowfall panel on top. The stitched hill adhered to the top of the panel and Mr. Snowman was popped up on top. I finished the card with the sentiment on a banner at the top and completed the card with a few rhinestones. Be sure to check out all the fun projects on the YNS Blog and we hope you play along! Upload your card to the YNS Challenge link and you can have a chance at winning a YNS store certificate. Thanks for stopping by and I hope you have a great weekend! 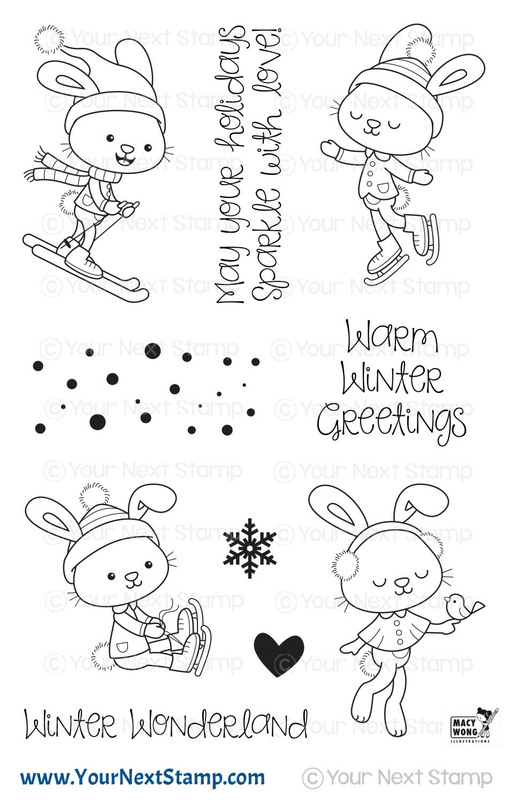 The days are brighter for sure because it's release time for The Cat's Pajamas Stamps! We hope you enjoyed all the sneaks the Cat Pack shared with you this past week and I am sure you have your list ready. :) If you arrived from Brenda's blog, you are in the right place. If not, start here. This release has a lot to say with all the fun stitched words and frames that will be the perfect touch to all your creations. 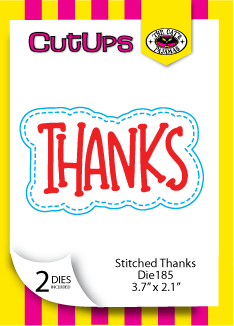 These can be coordinated with the new Big Word Basics stamp set as well. Along with those words, are two super cute sets of Lettuce Be Friends and Look for the Rainbows. My cards are featuring both those sets. 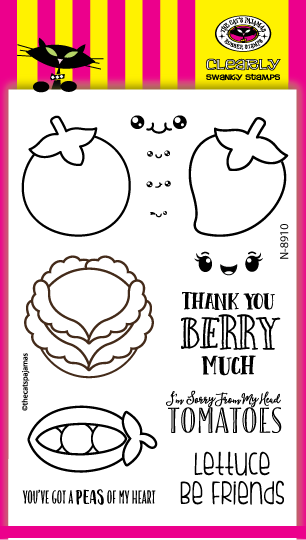 I had fun making this CAS card with the Veggies Cut Up and some patterned paper, making for some cute tomatoes. 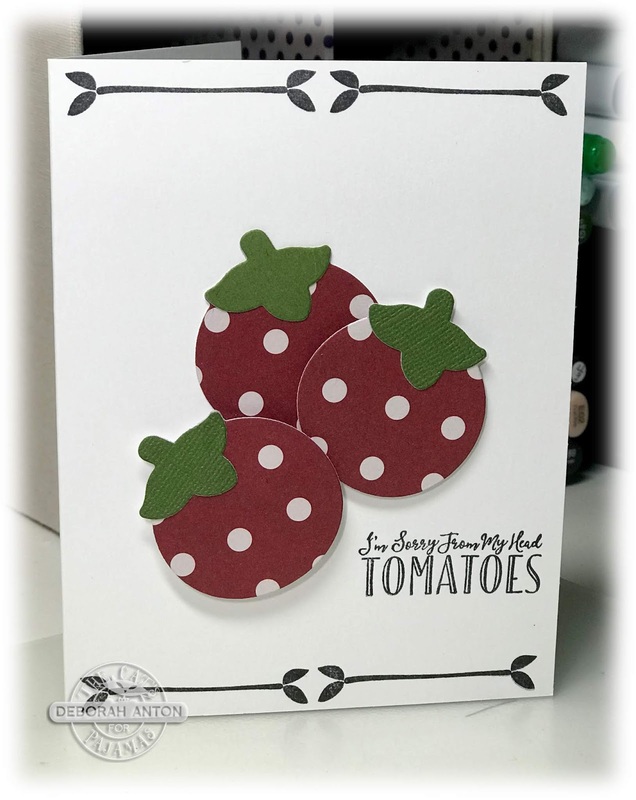 :) The top and bottom of the card base were stamped using an element from the Big Words Basic set while the tomatoes are popped up for dimension. The sentiment was stamped directly onto the base. 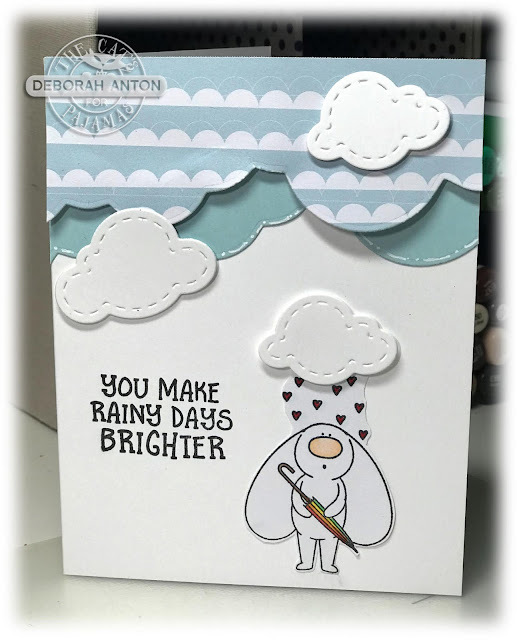 This card is made using the new set of Look for the Rainbows along with the Stitched Clouds and Cloud border CutUps. The clouds were cut using some patterned paper while the image was stamped, colored with Copics, and fussy cut out. I finished the card by popping up a few stitched clouds throughout and stamped the sentiment directly onto the base. Be sure to continue the hop to see all the wonderful creations the Cat Pack have put together. Next up is the talented Lynn! Thanks for stopping in and have a great week! In any event, what is most important is that The Cat's Pajamas Stamps is getting ready for their November release. Yippee! 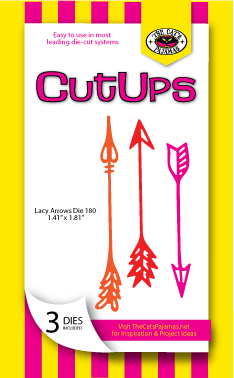 This release has so many fun Cut Ups that coordinate with these new sets, it can be used alone or in conjunction with the set. For my sneak, I am using a few of the new Cut-Ups to create these simple but bold cards. 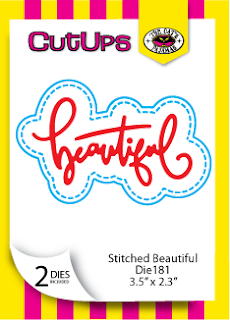 For this card, I am using the Big Word Basics along with the Stitched Beautiful Cut Up to create this colorful card. 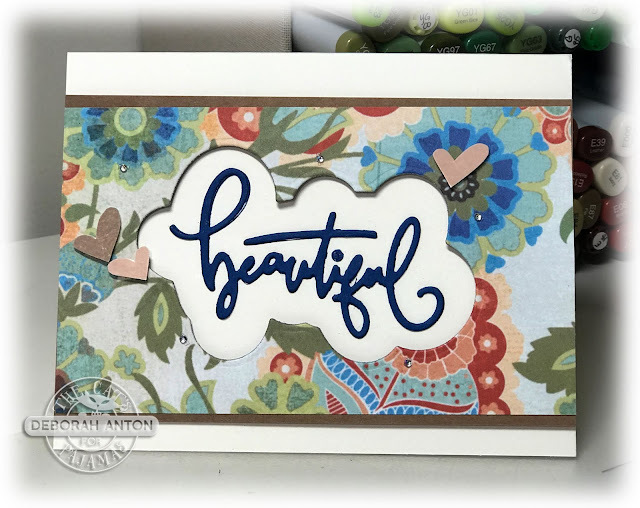 The patterned paper was layered over some kraft cardstock before using the Cut Up to cut out the shape of the die and inside was layered with the word. Everything is popped up for added dimension and finished with a few hearts and rhinestones. 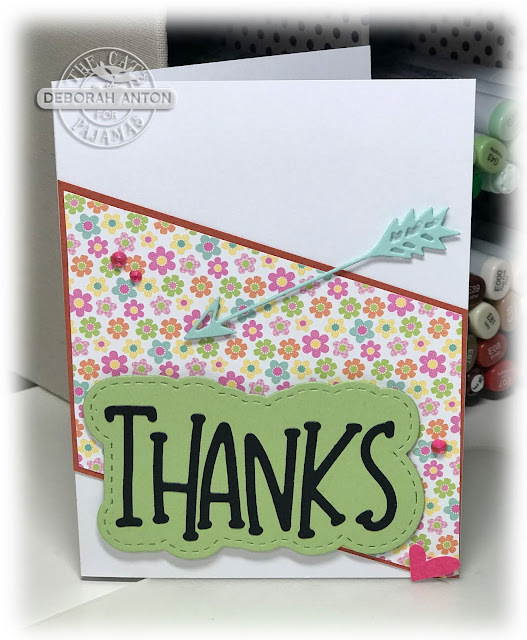 For my second card, I used the same stamp set to create this off-centered focus using the Thanks Cut up. Using some patterned paper, I measured the top panel to be at a diagonal and cut out the Stitched Thanks sentiment to be popped up at the bottom. These new Cut Up Arrows are so much fun and I added this as a final touch to the look. Win a $10 TCP Store certificate just for commenting here or on my Instagram account! Thanks so much for stopping in! Have a great weekend! 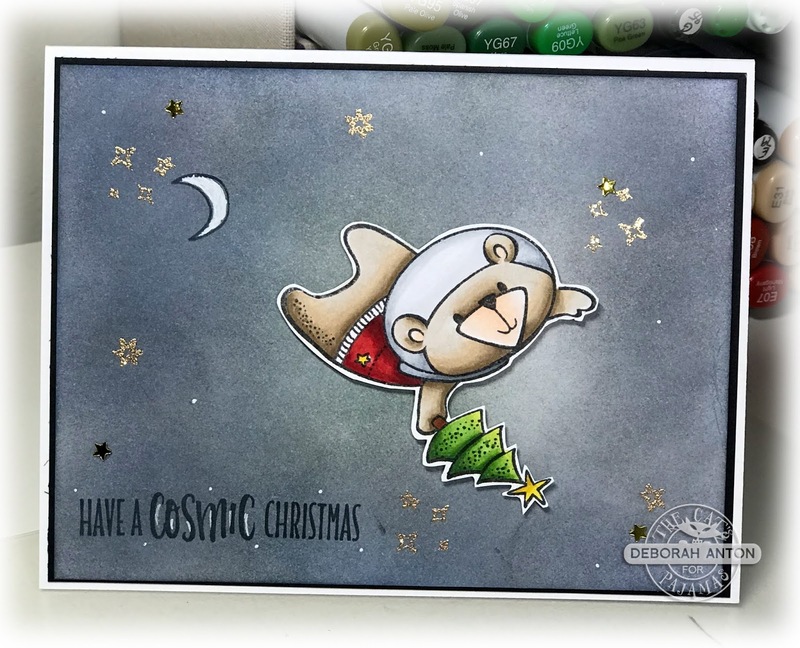 There has been a fun challenge going on over at The Cat's Pajamas Stamps blog and this challenge will continue for another week. This challenge is all about a winter holiday and we hope you come to play along and link up your creation! 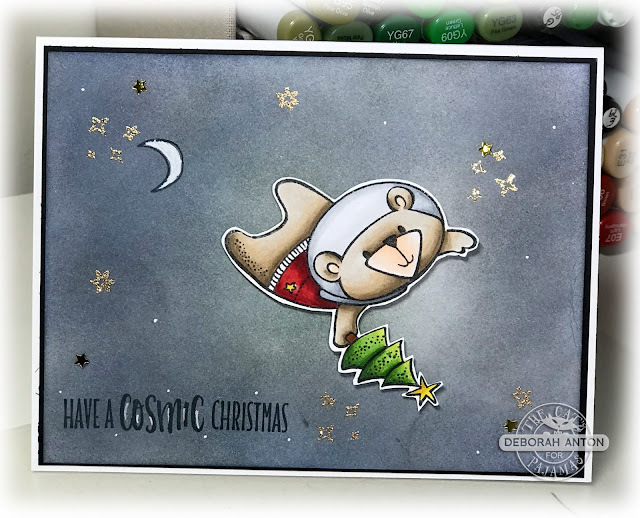 For my card, I created a Christmas space scene using the newest release set of Cosmic Christmas. 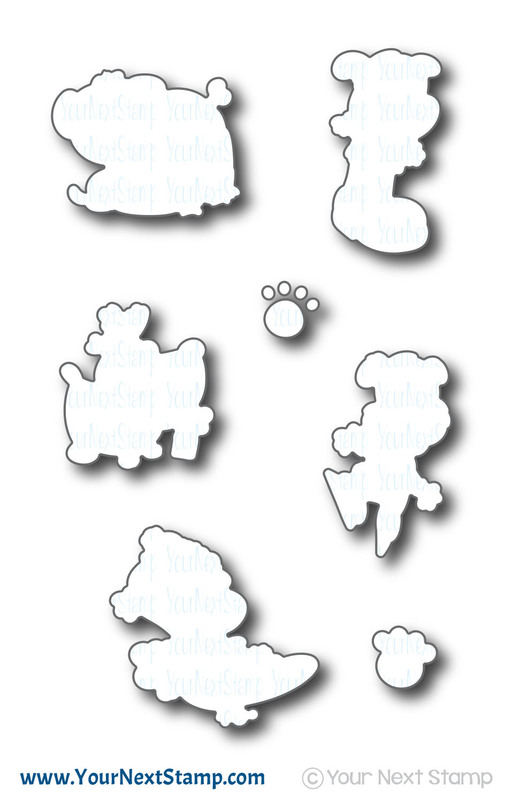 Stop by the TCP Blog to see all the fun creations some of the Kitty Cat Pack have created and don't forget to play along! Hope you all have a Happy Thanksgiving. Are you ready for a challenge? 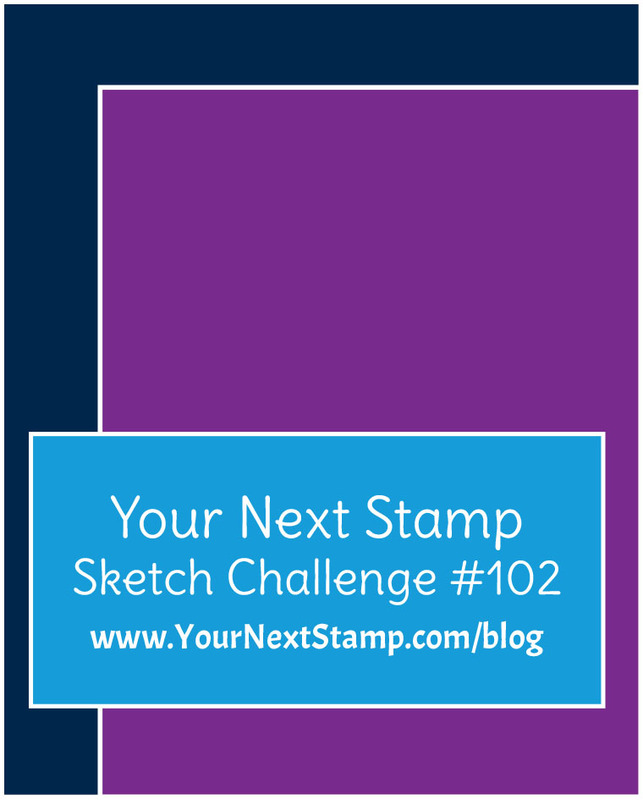 It's time for the Your Next Stamp Friday challenge, and this time there is a fun sketch! The DT all have great takes on this sketch and you won't be disappointed to find some inspiration. 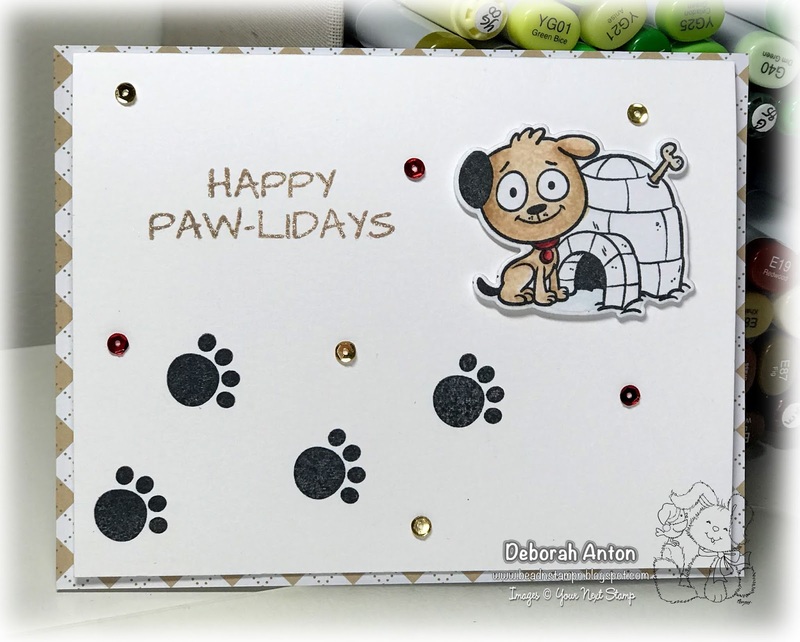 For my card, I took a different take on the sketch to create this fun scene with the new set of Paw-liday Pups. For the top panel, I used the Winter Tree Edge die and the Double Pierced Hill die to create the snowy scene. Using my Copics, I colored in the trees and the image finishing the trees with some "snow" using my white gel pen. The image was then cut out with the coordinating die to be popped up along the already popped up snow hill. 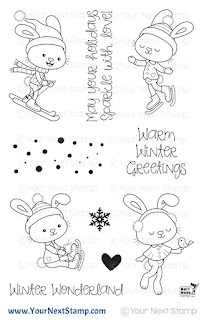 Some fun patterned paper from the YNS Holiday Joy paper collection was used for the background and the card was finished with the sentiment and fun Winter Wonderland gumdrops. 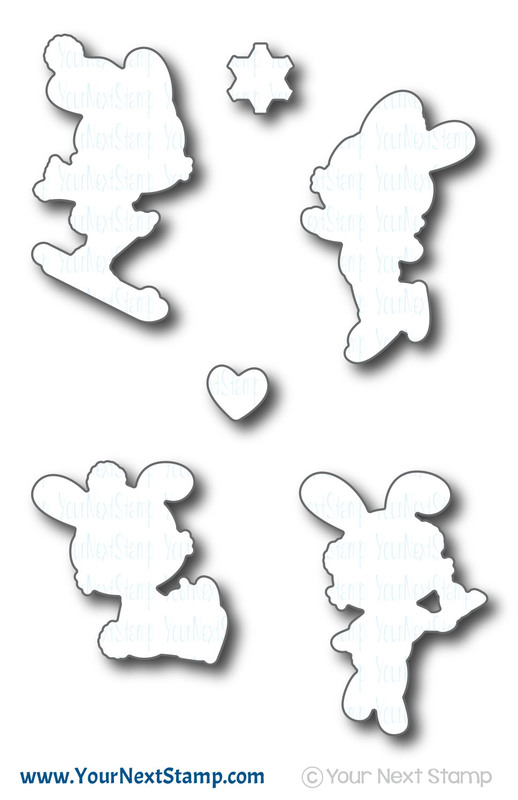 Be sure to stop by the YNS blog to see all the fun creations and we hope you are able to play along. 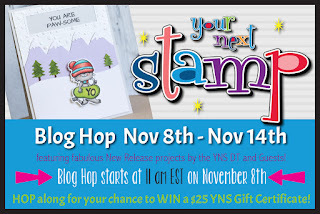 The challenge is open until 29 November at midnight and a random winner will win a YNS gift certificate and one random comment will win a YNS stamp set of their choice until 21 November at midnight. Thanks for stopping by and taking a peek! Have a great weekend! For my first card, I am using the new set of Paw-liday Pups. How cute are these guys? I decided to make the card smaller than the standard card size to adhere to the YNS Mint Cocoa Kisses patterned paper that is the A2 size and allow it to fit inside an envelope. This is a CAS card to focus on this little guy as he shows off his little igloo. The image was colored with Copics and given a little texture by dabbing him with some blending solution with a washcloth. He is then cut out with the coordinating die set to be popped up. The sentiment is stamped directly onto the card base and traced over with my clear glitter gel pen. It was completed with a few sequins throughout. My second card is a cute little 4 Bar card. I had recently purchased some fun red 4 Bar envelopes that I wanted to create a card for it. This new set of Holiday Sparkle was perfect. I started with a piece of red cardstock cut out with the YNS Pierced Oval dies and colored the image with Copics, cut out with the coordinating die set, and popped up over the oval. I then used the double pierced hill die set to create a little hill for this cutie to sit on. 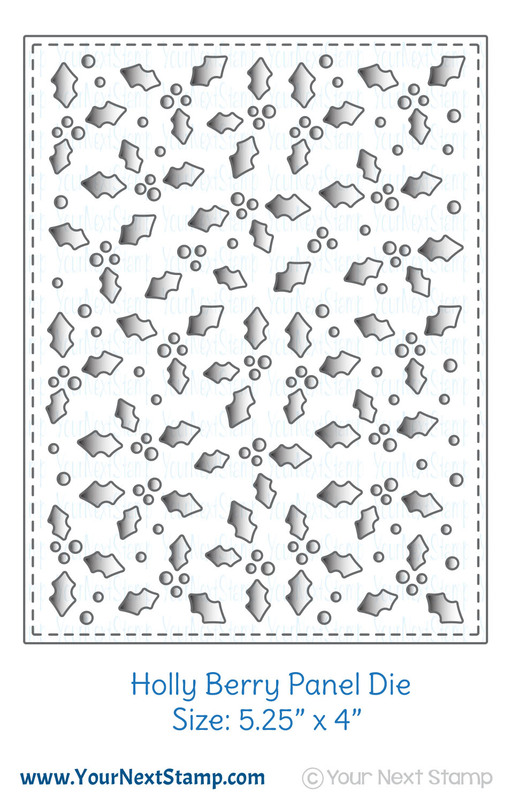 I completed the look by heat embossing some snowflakes to cut out and pop up throughout. As always, Karen has a fabulous sale for you to grab all your favorites with this awesome deal. You can take 20% your ENTIRE order!! Don't stall and get shopping. Thanks for hopping in and have a great day! 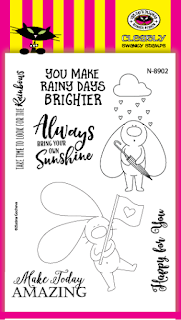 Today is preview day with Your Next Stamp for November and you don't want to miss all the fabulous creations from the DT. 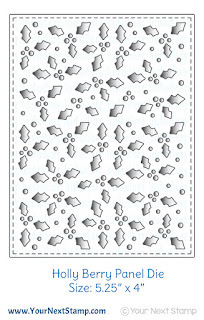 For my sneak today, I am using a few items from a few different new sets and dies to create this holiday card. I started with the new Holly Berry panel die for the background and pieced in a few spots of holly to have a pop of color before adding the "ornaments." 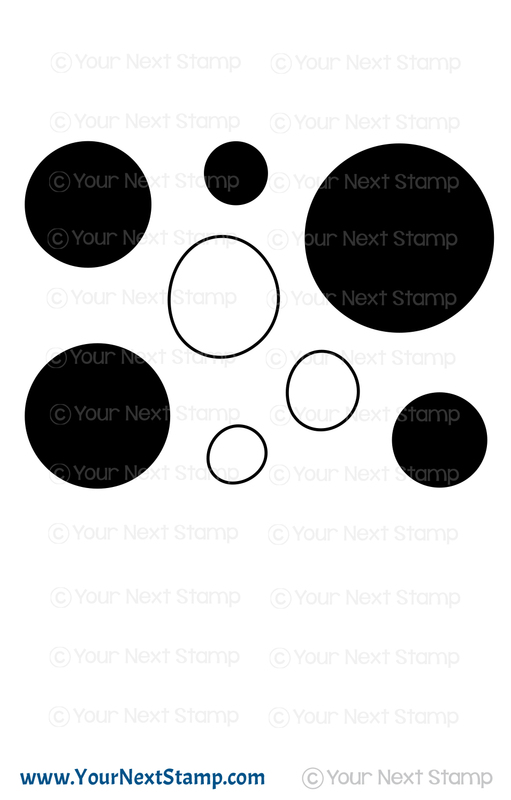 Using the Simply Circles stamp set, I stamped the three different sized circles with some Versamark and adding some Ranger Gold Sparkle embossing powder. I then used my circle punches to punch out the different sizes and added some red ribbon bows to the top with silver thread to pop over the panel. 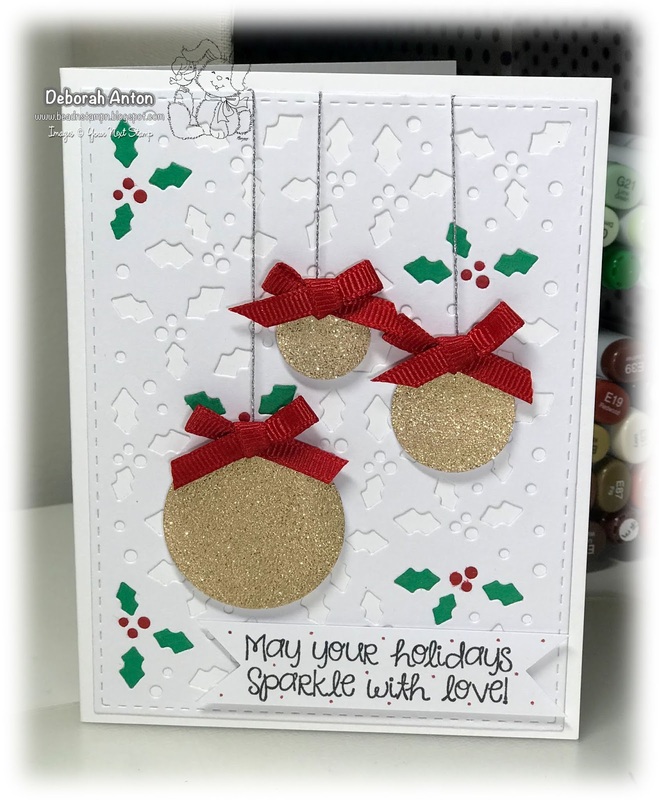 The sentiment is from the new set of Holiday Sparkle which I felt was fitting with these sparkly ornaments! Be sure to stop by the YNS blog to see all the fun cards from the team and get ready to write your wish list down. Thanks for stopping by and hope you have a great day! Your Next Stamp Friday Fun Challenge - Let's Play! 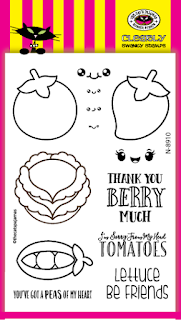 It's a Friday Fun Challenge with Your Next Stamp! This challenge is "Let's Play!" and we want to see what fun fold or interactive project you create. 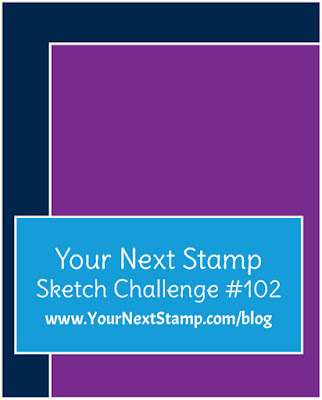 You have until the 15th to upload your creation and have a chance at winning a stamp set of your choice. 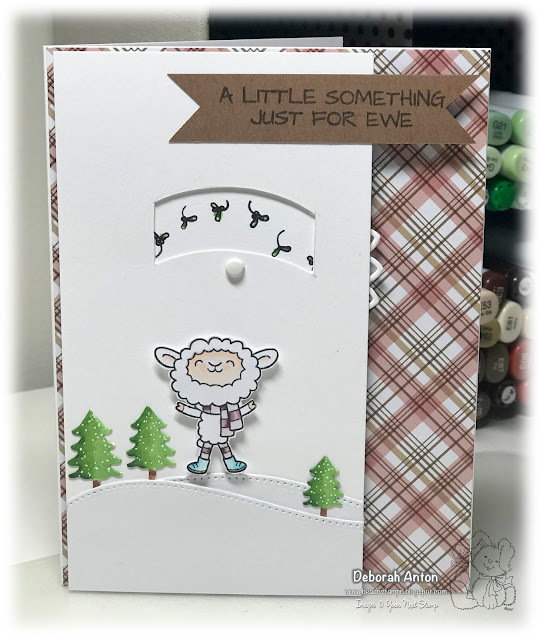 For my card, I decided to make a picture spinner with this cute lamb juggling some mistletoe. I started with a standard card base and made the top layer shorter on the width to show the patterned paper and to allow the spinner some room to poke out the side to allow your finger to spin it. 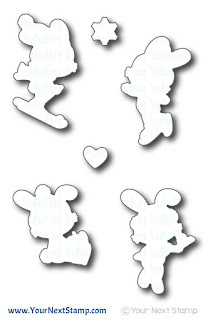 :) Once you spin, the picture of the mistletoe will change to various looks. I used the YNS Doily Trio two die set for making You could hide the brad with a snowflake or some other small embellishment, but I left mine alone using a white mini brad. For the scene, I used this cute lamb from the set of Fleece Navidad, colored in with Copics and cut out to be popped up on top of the snowy hills cut out with the YNS Double pierced hills die set. The trees were added from the Winter Trees Edge die. 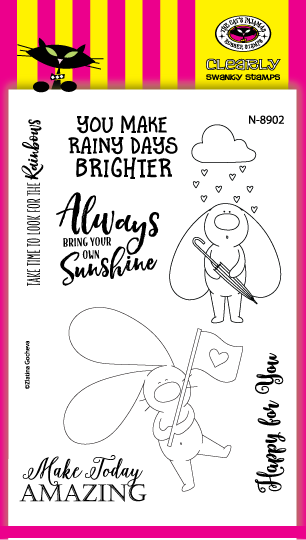 This was a fun card to make and your own creation of this type of interactive card can be made using various images that would make any recipient of your card smile. Thanks for stopping by and be sure to stop by the YNS Blog to see all the fabulous creations from the DT. Have a great weekend!